price: € 56,600 € 49,900, VAT incl. price: $ 218,900 (≈ € 194,578), VAT excl. price: $ 110,000 $ 100,000 (≈ € 88,889), VAT excl. price: € 478,390, VAT incl. price: $ 39,900 (≈ € 35,467), VAT excl. company: American Powerboats At Cost. price: £ 207,880 (≈ € 240,408), VAT incl. Dealer Cost. Save Thousands! Brand new, 2013 model, complete with engine upgrades and a number of other factory fitted options. Prepped and ready for delivery. 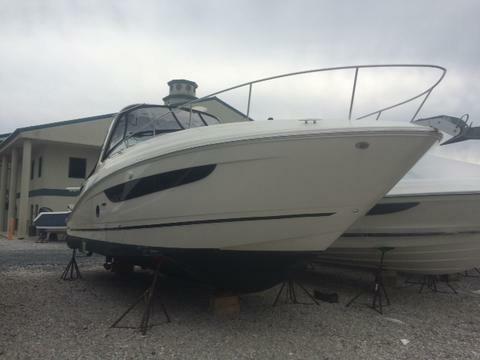 Would you like to sell your used Sea Ray 350? Sign up here and add your Sea Ray 350 in our data base with used boats for sale.